Woman who found abandoned Perth baby makes plea to baby's mum. Woman who found abandoned baby in Perth makes emotional plea, & more in News in 5. 1. “I know you are deeply broken.” Woman who found abandoned baby in Perth makes emotional plea. 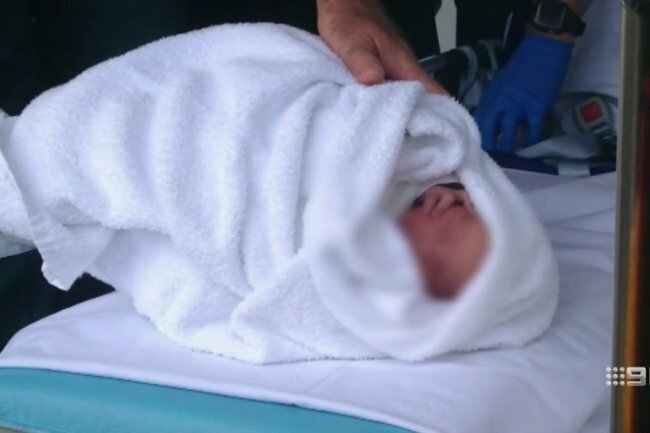 A Perth woman who found a newborn baby boy abandoned outside a medical centre last week has made a plea to the child’s mother, urging her to come forward. The woman found the infant, believed to be about 24-hours-old, wrapped in a blanket in a box at a Booragoon medical centre on Wednesday. The boy, named Raheel, was taken to Perth Children’s Hospital. The mother also left behind a handwritten note asking he be cared for. The woman who discovered the baby has shared a message to the mother of the child with 9News. “The tears I’ve cried, I’ve cried for you. Some in public and some alone. I know you are deeply broken… I’m truly sorry that you have been pushed so far over the edge having to let go of your baby,” her message said. She said the mother might feel condemned for her decision to leave her baby, but “I believe you wanted to make sure your baby will be in good hands”. Authorities have also appealed for the mother to come forward but she is yet to be found. On Thursday, West Australian Premier Mark McGowan said the government wanted to help her and urged her to come forward to get treatment. Police Commissioner Chris Dawson said she could contact police anonymously or the Department of Communities. “We do want to locate the mother, not for police reasons in terms of pursuing criminal conduct or anything, it’s about her health and welfare,” he told 6PR radio. “My first thoughts are, frankly, with the young child, the infant, and that they are placed in the best of care,” he said. Department of Communities assistant director general of service delivery Jackie Tang said Raheel had been brought into the provisional care of the Department and further decisions regarding his future would be made “in due course”. 2. Inquest into the disappearance of toddler William Tyrell begins. The NSW coroner will examine William Tyrrell’s family situation and the initial response to his disappearance when the inquest begins sitting almost five years after the toddler vanished. William vanished from his foster grandmother’s home on the NSW mid north coast on September 12 2014 while wearing a now infamous Spiderman costume. The state’s top detectives have worked tirelessly to track down the missing boy since his foster mother’s frantic call to police that morning – but his fate remains a mystery. 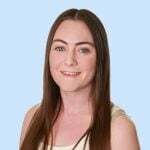 A massive brief of evidence, containing at least 15,000 items, will go before Deputy State Coroner Harriet Grahame at the launch of the inquest on Monday morning. The first of two weeks of hearings will explore William’s foster and biological families, the period of time around the disappearance and early parts of the investigation. Throughout the investigation, William was referred to “a little boy lost” but police soon came to suspect something more sinister happened and zeroed in on known paedophiles and criminals from nearby holiday towns. But no one has been charged for the suspected abduction. AAP understands investigators hope the first week of hearings will show William did not wander into nearby bushland but was, instead, snatched by a predator. In mid-2018 they conducted a large-scale search of bushland near the Kendall home to rule out misadventure and firm up their theory. The closely-guarded persons of interest list, which ballooned to include hundreds of names over the years, has been whittled down for the inquest’s second sitting in August. Some names on that list have been previously released by police but sources say one so-far unidentified person will be watched closely when they are called in front of the inquest. Counsel assisting Gerard Craddock SC will deliver his opening address at 10am on Monday. 3. 1300 passengers evacuated from luxury cruise ship off the coast of Norway. Evacuation from a luxury cruise liner with engine trouble off the coast of Norway has continued for a second day, with 397 people airlifted off the vessel, while rescue services prepared to tow the ship to a nearby port. “The evacuation continues at the request of the vessel … they need tugboats to get to port,” rescue service spokesman Per Fjeld said, adding that the plan was to bring the Viking Sky to the town of Molde. The ship has been able to restart three of its four engines but was still requesting assistance. The wind speeds are expected to fall further during Sunday. 4. Jacinda Ardern has announced a national memorial service for Christchurch attack victims. A national memorial service will be held for victims of New Zealand’s mosque attacks, but the country’s opposition party has called for a Royal Commission too. 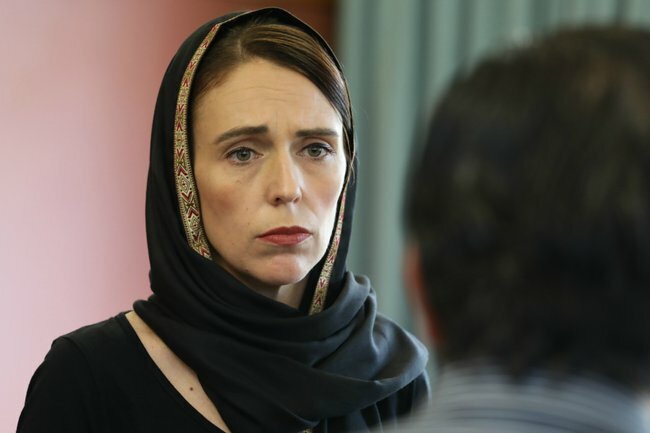 Prime Minister Jacinda Ardern has announced a service will be held in Christchurch on Friday, two weeks after 50 people lost their lives at the city’s Masjid al Noor and Linwood Masjid. It&apos;s expected to be followed by worshippers returning to Friday prayers inside the two mosques for the first time since the March 15 attacks. Foreign dignitaries have already attended to pay their respects, including delegations from Saudi Arabia, the United Arab Emirates and Jordan&apos;s Crown Prince El Hassan bin Talal, who prayed at al Noor on Saturday. Christchurch Mayor Lianne Dalziel said the attack wouldn&apos;t define the city but the aftermath would. ACT leader David Seymour agrees and believes an inquiry should look at why authorities hadn&apos;t detected the alleged gunman before the attack and the adequacy of intelligence resourcing. Mr Seymour has accused the Labour government of rushing the response and could thwart the prime minister&apos;s hope for unanimous support for gun law changes. The alleged gunman, a 28-year-old Australian man, has been transferred from Christchurch and is now believed to be held in a maximum security prison in Auckland. He is charged with one count of murder but is expected to face more charges. He&apos;s due to return to court on April 5. 5. British PM Teresa May could be ousted by ministers "within days", thrusting Brexit into doubt. British Prime Minister Theresa May&apos;s top ministers are moving to oust her within days, The Sunday Times reports, as her Brexit strategy lies in tatters just weeks before the United Kingdom was due to leave the European Union. The Sunday Times cited 11 unidentified senior ministers and said they had agreed that the prime minister should stand down, warning that she has become a toxic and erratic figure whose judgment has "gone haywire". "The end is nigh. She will be gone in 10 days," the Sunday Times quoted an unidentified minister as saying. "Her judgment has started to go haywire. You can&apos;t be a member of the cabinet who just puts your head in the sand," the newspaper cited a second unidentified minister as saying. The Sunday Times reported that May&apos;s de-facto deputy, David Lidington, is one contender to be interim prime minister but others are pushing for Environment Secretary Michael Gove or Foreign Secretary Jeremy Hunt. May&apos;s office declined to comment on the reports. Earlier a Downing Street source, speaking on condition of anonymity, told Reuters that a Saturday Times report that there were discussions in May&apos;s office about her departure was incorrect.